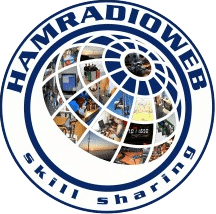 Dx Calendar, here you can find the DxCalendar of Hamradioweb.org updated every months (also often…. ), a practical Dx Calendar where you find major dx peditions scheduled each month and major IOTA activites. Info are taken on the web, from various dx bulletins and blog, Dxworld, Dxnews, 425Dxn etc..
By clicking on the single callsigns on the dx calendar, you will be redirected to the websites providing the announcements and informations regarding that Dxpedition. Full responsive design now, you can see without problem with computer but also all mobile devices !